To teach English or Spanish (Latin America) with a LMS that fits your teaching style. Akdmic is an ultimate generation learning management system (LMS) platform that goes beyond traditional learning language platforms, by allowing teachers to easily customized their curriculum or design his own Scope and Sequence course with thousands of lessons. Thousands of Interactive English and Spanish Lessons to create the course that you ever imagine!! With an intuitive and easy to use dashboard, teachers can interact easily with a large library to search any particular topic of grammar, vocabulary, reading, listening, speaking and writing repository lessons to help reach your curriculum and achieve student goals. Teacher's use the extensive resources either in class or as a homework practice, and can communicate with the teaching staff or their students for class projects and review students progress. Become a new generation teacher and start creating your own courses, create your own materials, and teach online with the best English / Spanish teaching platform of LMS. Great online platform at a lower cost to take full control of your own Courses, Teacher Activities, Student Grades, Exams and Analysis Report. Large library of lessons and assessments in one site means less time searching and creating new classroom and homework	resources. Personalized Learning Method put students in charge of their own learning. Just Test Language skills, set Learning Goals and Select your Course. Customize the Curriculum to improve the Student Learning Progress. Save time and drive efficiency by allowing teachers and curriculum managers quick and easy access to courses and extra resources to improve the student progress. The library of self-access materials is the hub of the Akdmic experience for students. Over 2,000 units of English and Spanish are contained here, covering all areas, and at all six Common European Framework References (CEFR) levels. There are video introductions to grammar units, giving contextualized examples of language in context, all within carefully managed vocabulary loads, and also video explanations of the grammar points to supplement the text containing all the pertinent information about. Select one of more than 20 ready-to-use courses or create your own Syllabus or Cross reference Coursebook or Curriculum guide. Select all the lessons you will need to complete your course, or add lessons to any course or create your own lessons, exercises, exams, with +100,000 English or Spanish practice exercises. Customize all exercises, passmark %, attempts per exercise, show or hide correct answers, select grades to record, average, last attempt, high grade, last grade, guided or open course , show / hide units, etc. Akdmic has a huge bank of materials available for teachers and students. They are free to wander around the virtual library and select the course that they want. However, some schools and students prefer a more structured approach to learning, and to that end, we work with schools to create courses for students to follow. A course is a list of materials, grouped together to the school's requirements and presented in a linear form. Students work through the materials, one unit at a time, and, as the courses are created according to the needs of the school, teachers can be sure that the students are following the prescribed sequence of learning that they want. Schools can even create their own courses quickly and easily, and, working in tandem with our Communications Center, can include their own material made in-house. Improve all your skills in our online interactive courses. On these courses you will improve your general language ability and learn to communicate more fluently in English or Spanish. English courses - All CEFRlevels available. Spanish courses - Beginner and Intermediate. You will have dynamic lessons with experienced teachers who motivate and encourage you to make fast progress and achieve your goals. Exam preparation is available for students who are Pre-Intermediate (CEFR Level A2) or above. KET, PET, FCE, CAE, CPE, TOEFL, TOEIC, IELTS. If you want to fully immerse in the Business environment improving your business language skills, we have an extensive range of materials in our English Business Courses including business grammar, vocabulary, reading, listening, speaking, writing and functions. Intermediate Level B2. “We have been working with Akdmic for the past two years. Students at the Anahuac University have been benefited by the use of this platform as an extra support for their English as second language course. The platform has been modified and transformed according to the teachers’ needs and also by using their creativity, problem-solving, willingness to adapt and create a product that satisfy the customers’ vision. 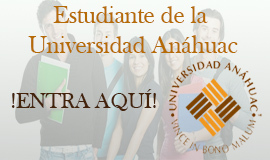 Besides, we have been also working hand in hand to upload different types of exams from placement in different languages as Spanish, French and/ or Italian to exams for specific English’s courses that completely fulfill the needs of the Language School of the Anahuac University. "Akdmic es una herramienta de vanguardia, complementaria a cualquier plan de estudios, ya que entre las bondades de la misma, podemos obtener el beneficio de que sea 'hecha a la medida' conforme a niveles de inglés, contenidos e intereses. La plataforma de Akdmic ofrece una extensa variedad de ejercicios, no sólo para los alumnos, sino para los docentes; quienes también pueden diseñar sus propios ejercicios y exámenes sobre la misma. De igual manera, se puede tener acceso a material auténtico (BBC, The Parliament Channel, etc). En nuestro particular caso, el eje de nuestro curso son libros Cambridge, los cuales son complementados a través de la plataforma para la preparación y evaluación de nuestros alumnos." 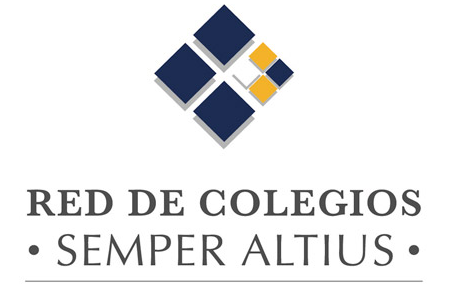 "En nuestra institución educativa nos ha funcionado muy bien el uso de la plataforma en línea LLE, dado que es una herramienta que permite a nuestros estudiantes consolidar y reforzar temas gramaticales y de vocabulario del idioma inglés, así como el practicar de forma adicional distintas habilidades del idioma; adicional a lo anterior, la plataforma es clara, sencilla y amigable tanto para el alumno como para el profesor, proporcionando a este último un seguimiento puntual y oportuno de la avance real de cada estudiante, y a su vez faculta al profesor la personalización de contenidos en los diferentes cursos para cubrir las necesidades de cada grupo en particular. "